It has been my impression that the predominant feeling surrounding the release of Apple’s highly anticipated iPad was one of confusion and frustration. The communal expectation for the new iPad was for a hyper mobile laptop with all the bells whistles for which Apple is famous. Despite Apple aficionados’ predictions of powerful Intel processors and a Snow Lepard OS core, Jobs presented to an under whelmed crowd an oversized iPod Touch. Major drawbacks that it shares with this device includes lacking Flash, inability to multitask, and no USB port. As added slaps in the face, the iPad has no iSight camera (nor the ability to add this on) and, of course, the bane of the Apple mobile business: a continued contract with AT&T. Then there’s the price! Casual, but techy, users like myself have to stop and wonder whether I’m willing to fork over upwards of $500 for a device. Especially one I am not sure I’ll need. The iPad may very well go the way of the iPod Touch or Apple TV come March and April. I fear that sales, though initially good at the hands of Apple geeks (who would as happily buy Jobs’ tissues as they would any other product bearing the fruit’s silhouette), will ultimately level out because of public disinterest. However, the more obvious outcome will be that, as the iPad flies off the proverbial shelves, intelligent free thinking individuals will hack the iPad (since at heart it runs the iPhone OS) and make the iPad everything that Apple forgot to make it — they will make the iPad what they need it to be, not what Apple wants it to be for them. 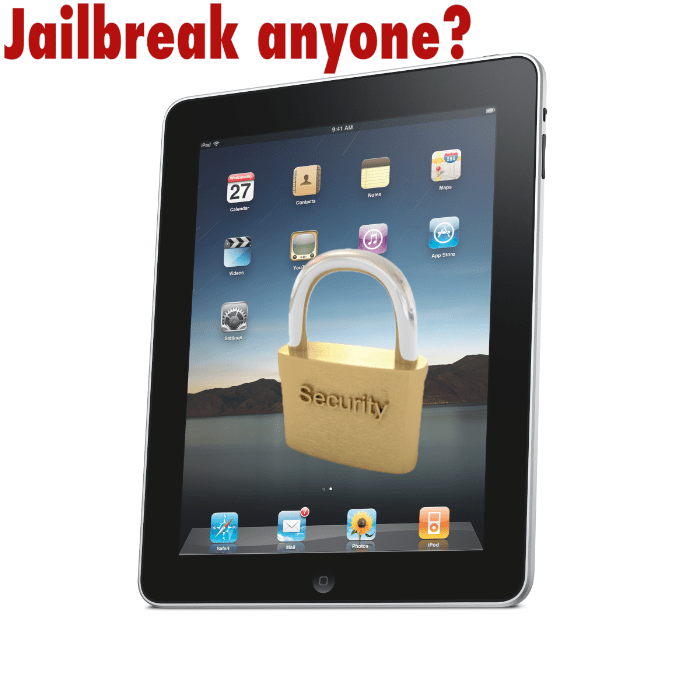 Both the methods of hacking, or more vernacularly called “jailbreaking” for iPhones or iPod touches, and using Apple devices in ways in which they were not intended has become the backbone of the Apple universe. As an example, I wanted to finally put a TV into my room and, being the Mac junky I’ve become, my fist inclination was to find something from the Apple Store to use with it. I first looked to the Apple TV, but, to be honest, I hated it! Its OS is eerily similar to Front Row, an app on my Mac that’s way too sluggish and buggy to be considered useful. I had to ask myself, what would I be gaining with the Apple TV? An HDMI output for my HD movies and TV shows? Certainly not for $200! And that’s when I noticed the Apple Mac Mini — conveniently located adjacent to the Apple TV in my local Apple store. It was just as petite, it’s DVI output could easily be converted to HDMI with similar clarity (after all, you don’t need proper HD until screen sizes of 42” and up), and it seamlessly transfers media from my MacbookPro over my wireless network thanks to the new Home Sharing function. That means I can share movies, TV shows, and music that I’ve already bought. And that’s just how it matches the Apple TV! I can multitask, use any software I please, have a camera perched on top of my TV screen for Cisco-esque conferencing, iChat, or Skype and I’m not limited to media I can find in the iTunes Store. That means I can do things like play Flash games and stream Pandora or Last.FM. All of this, starting at only $350 more over the Apple TV. I liken my experience in choosing the Mac Mini over the Apple TV to the current technological speed bump that is the iPad. If it weren’t for alternatives like the Mac Mini, Apple TV might have higher sales, instead of Jobs having to brand it an “experiment” or a “hobby” just to save face. As I found an alternative to simply accepting a deficient device, the iPad’s saving grace will be hackers that create something better than it once was. No one often says this openly, but the Real Mac Geniuses can: Apple depends upon the innovation of its Research & Development teams just as much as it depends upon the ingenuity of the hackers at large — dragging Apple, kicking and screaming, to become a better technology company.